Receive full access to all our daily semi-private coaching calls, and our vast online library of scripts, systems, objection handlers and proprietary training materials. Receive 1 private, one-on-one coaching sessions per month + anytime email access directly with Tim & Julie Harris. This program is available by invitation only. Receive TWO private, one-on-one coaching sessions per month + anytime email access with a trained, professional real estate coach handpicked by Julie Harris. 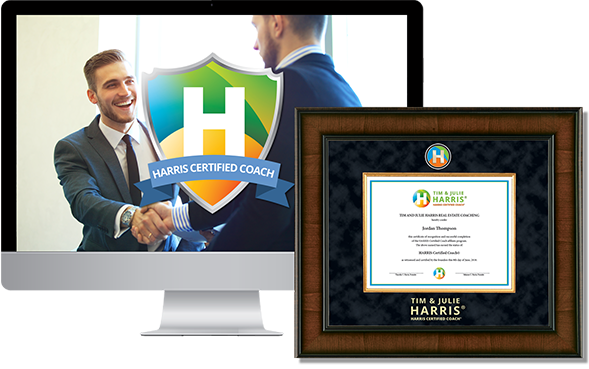 Receive FOUR private, one-on-one coaching sessions per month + anytime email access with a Harris Certified professional real estate coach handpicked by Julie Harris. Receive FOUR private, one-on-one coaching sessions per month + anytime email access directly with Tim & Julie Harris. This program is available by invitation only. Premier Coaching with Tim and Julie Harris is a affordable & comprehensive coaching & training solution for real estate agents seeking a proven, step-by-step “business in a box”. This program distills the insider secrets of the nation’s top agents into an easy to follow roadmap for superstar success guaranteed to put your real estate business into high gear! 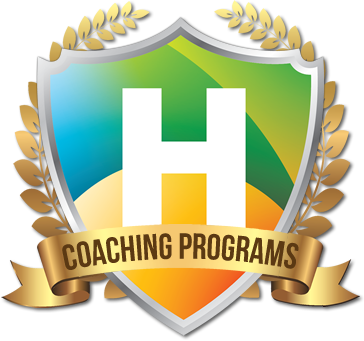 Semi-private DAILY coaching sessions where Harris coaches work with you on how to use the Premier Coaching program. 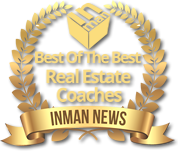 You’ll receive insider access to our member’s only Facebook forum, where you can share referrals and learn from tips & tricks to implement our coaching program from thousands of motivated real estate agents. 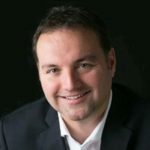 You’ll receive insider access to our massive online coaching & training portal, complete with hundreds of past coaching sessions, scripts & objection handlers, strategies & techniques, and details on how to build, optimize & make massive revenue in every aspect of your real estate business. Complete Scripts, Objection Handlers, and Much More! Learn how to overcome call-reluctance, and become a master phone-prospector using a comprehensive collection of scripts and objection-handlers based on decades of experience and thousands of coaching calls. 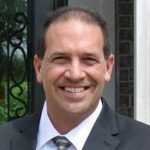 Premier Accountability Coaching pairs you with an experienced real estate coach from our staff of trained, licensed top-producers to provide you with the winning combination of strategy, accountability and mindset used by the nation’s top agents. You’ll get one personal, exclusive coaching call every month with your coach from our staff of trained licensed professionals, hand-selected by Tim & Julie Harris. Premier Plus Coaching pairs you with an experienced real estate coach from our staff of trained, licensed top-producers to provide you with the winning combination of strategy, accountability and mindset used by the Nation’s Top-Producing Superstar Agents. 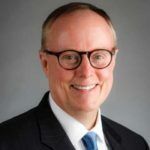 You’ll get two personal, exclusive coaching calls every month with your coach from our staff of trained licensed professionals, hand-selected by Tim & Julie Harris. Premier VIP Coaching pairs you with an experienced real estate coach from our staff of trained, licensed top-producers to provide you with the winning combination of strategy, accountability and mindset used by the Nation’s Top-Producing Superstar Agents. You’ll get four personal, exclusive coaching calls every month with your coach from our staff of trained licensed professionals, hand-selected by Tim & Julie Harris. Our most intense, success-driven program gives you direct weekly real estate coaching sessions with award-winning top-producers & authors Tim & Julie Harris. 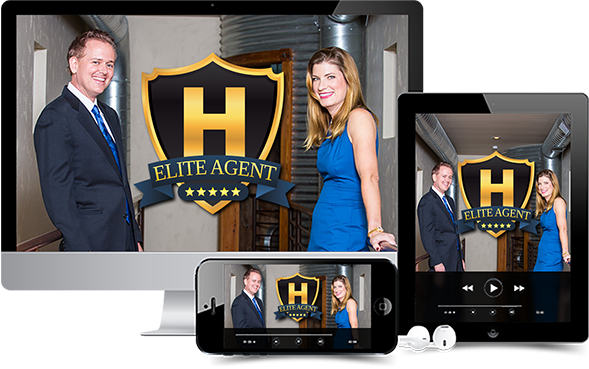 For agents serious about success, this is the way to join Tim & Julie’s inner-circle of elite agents. 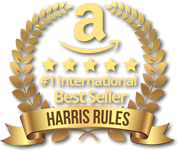 Get ready for the prestige, recognition, and massive income opportunities that come with being a HARRIS Certified Coach®. Master your craft, help agents increase production, and build a profitable coaching business with this exclusive certification. Learn how to effectively present yourself as to other agents & prospects in your local market, and build your coaching network into a a flourishing coaching business. We’ll teach you how to present our coaching & training materials, and even do the selling for you! That’s right, you send us the leads, you make the money! You’ll receive lists of local agents & brokers in your area to help you reach out, build your network, and do presentations. 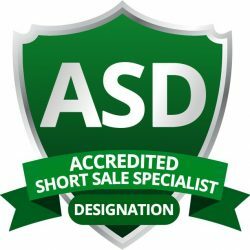 Demystify the process of generating, listing, selling and closing Short Sales, and learn to generate an abundance of opportunities as your market’s short sale expert. 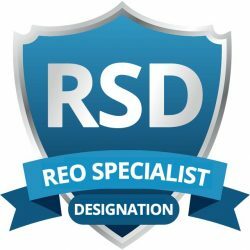 Get detailed training in REO industry fundamentals like evictions, cash for keys, and securing MMRS, and how to generate income now by doing Broker Price Opinions. We offer pre-approved financing with no interest if paid in full within 185 days from date of delivery. Financing options are based on 14% APR simple interest with a 36 month term and no pre-payment penalties. Discounts available for Premier Coaching when full-payment is made upfront at time of enrollment. Premier Coaching pricing starts at $2995 ($2750 when full payment is received upfront at time of enrollment). Premier Coaching is a 6 month program and includes 6 additional months at no charge. Premier Coaching Plus pricing starts at $7000 and is a 12 month program. Premier Coaching VIP pricing starts at $18,900 and is a 12 month program. Elite Coaching pricing starts at $27,250.00 and is a 12 month program.